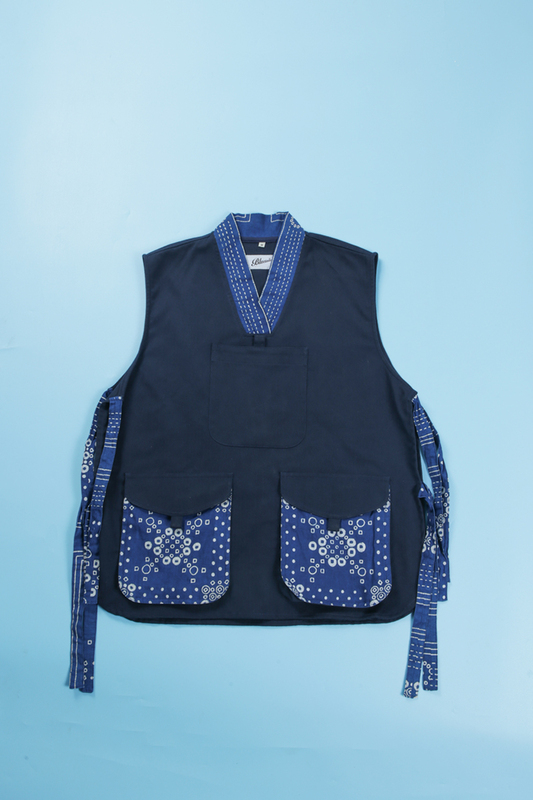 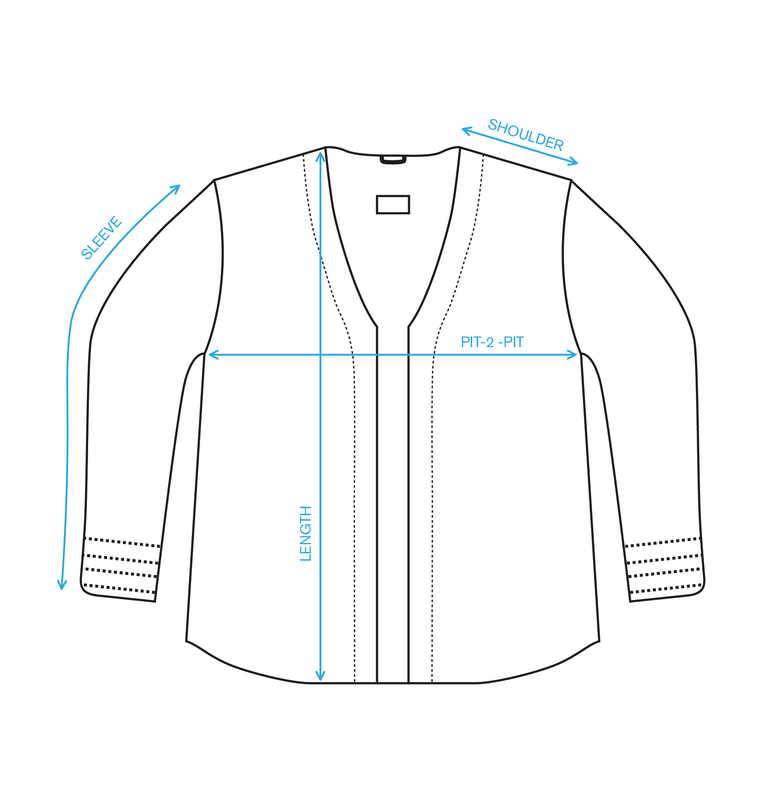 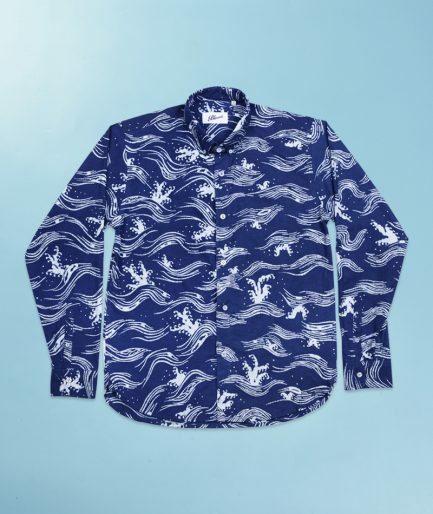 This vest is inspired by east asian farmer’s work attire, sporting a pull-over Japanese style collar made from our signature indigo batik fabric. 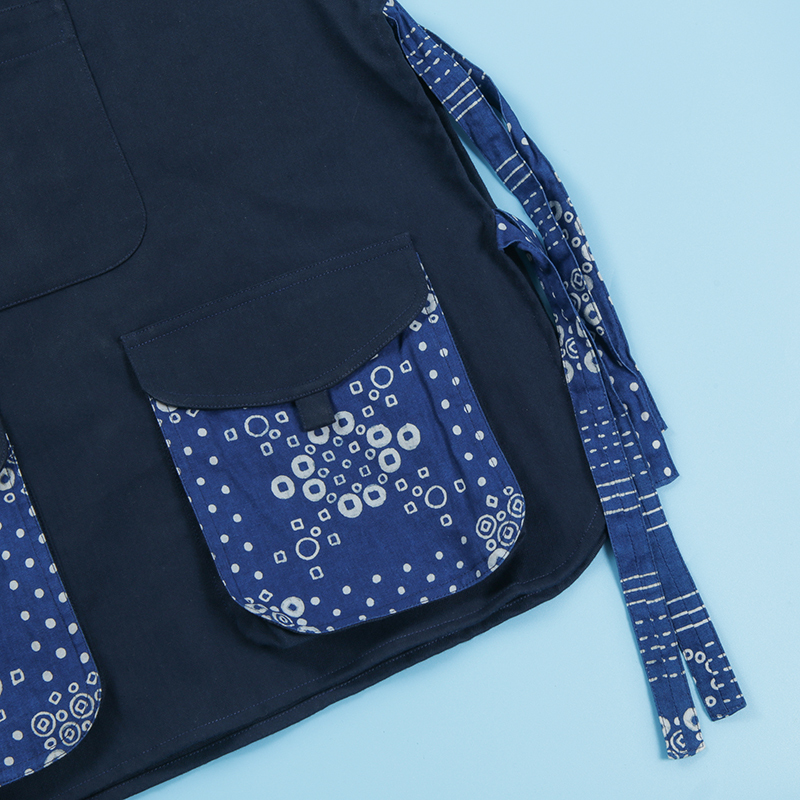 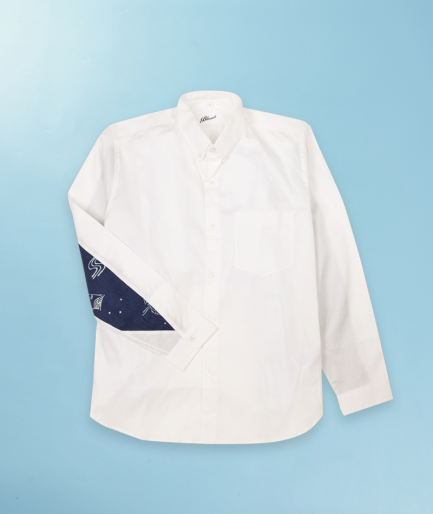 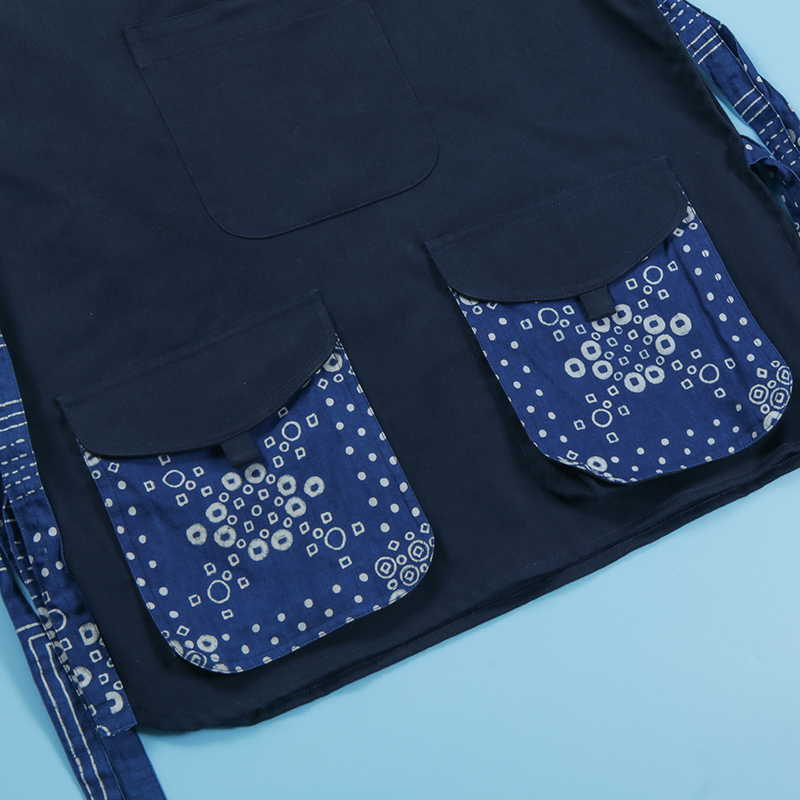 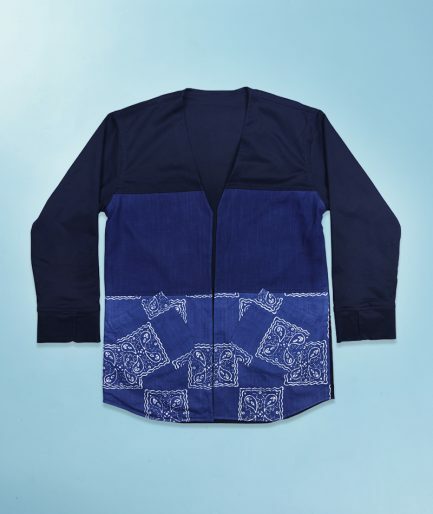 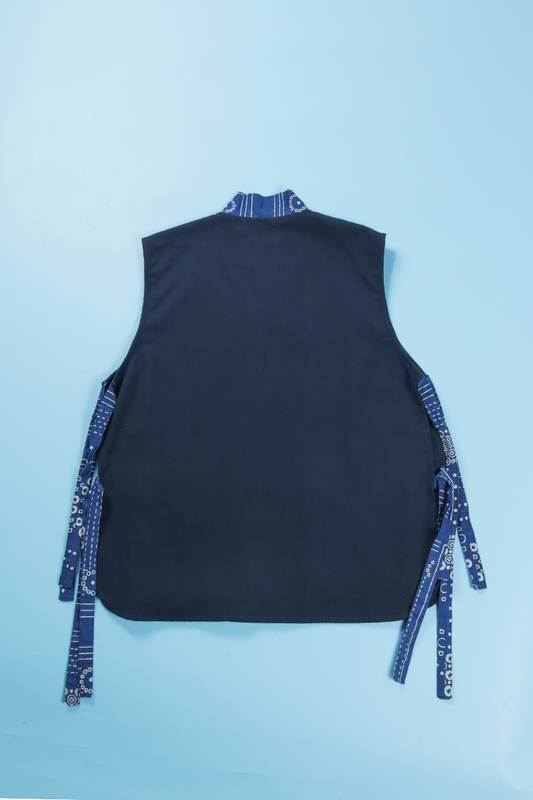 Two utility pockets in the bottom is made from the same indigo batik, while the side part of the vest is equipped with indigo strings to fasten. 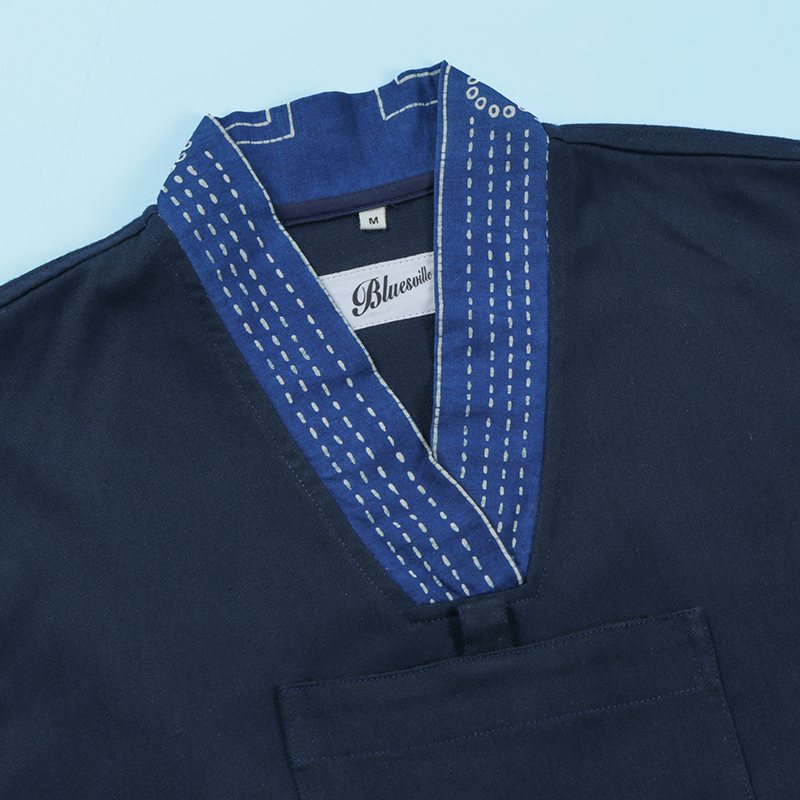 Available by our Made-To-Order program only.